Something I picked up for Willow when I was pregnant and she was still just Gizmo, I absolutely adore the range of milk bottle rattles available from The Milk Collective. They're available in a variety of colours from the black which I bought for Willow, white and a lovely array of pastels. A unique baby rattle, they have a soft plush body made with 100% cotton and a super-soft cuddle fabric, which adds a lovely sensory aspect, giving extra stimulation for babies. I'm a big fan of Beatrix Potter, having kept my full collection of Beatrix Potter Tales in immaculate condition since my own childhood, passing them on to my daughter now. I think this is such a lovely print and can be personalised to include a name, birth date, weight and even a little message. Although it doesn't come with the frame, it's easy to pick up lovely but purse-friendly photo frames and it will make such a sweet little keepsake. Each letter even features it's very own Beatrix Potter character, how lovely! Another Beatrix Potter themed gift and one for any new parents who are bookworms, this would make such a special gift for a new baby. 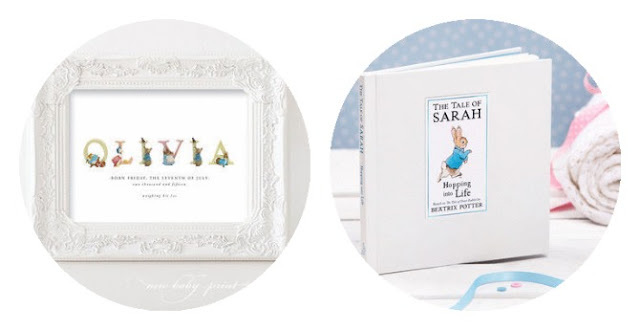 Published especially to celebrate the 150th Anniversary of Beatrix Potter and exclusive to notonthehighstreet.com, it features original illustrations from The Tale of Peter Rabbit with the chance to personalise the book with the babies name on the cover as well as throughout the book. You can also include a special message in the front cover, all presented in a cream gift box. This is something I will be adding to the Christmas list for Willow, it's just so lovely! 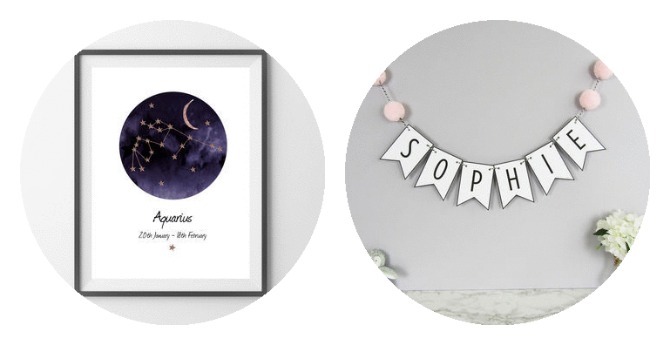 I absolutely adore these prints and have one for Willow, who is an Aquarius. I think it's just the most beautiful print which is a way to celebrate a new babies birth. With a print available for each Zodiac star sign, they come in A4 size with the constellation created with the most gorgeous watercolour design, with the Zodiac sign and dates printed below. It's my favourite print for Willow's nursery and is a lovely budget-friendly gift with meaning for any newborn. Can you tell I love personalised gifts? I think this is a lovely alternative to the popular wall stickers which many nursery's feature and can be customised in all aspects; there's various flag colours available, as well as different coloured pom poms and of course, being able to have the banner personalised to have the name of your choice. This one would also be great for birthday celebrations! 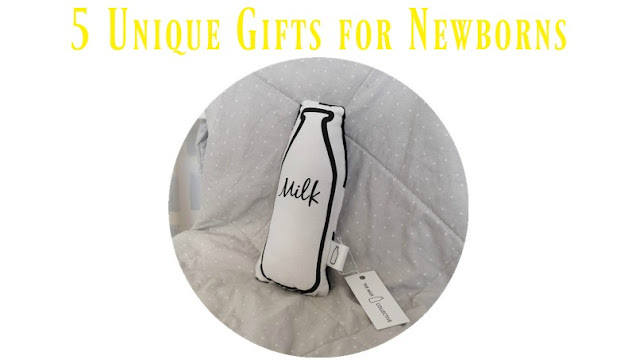 Have you come across any unique gifts for newborns?